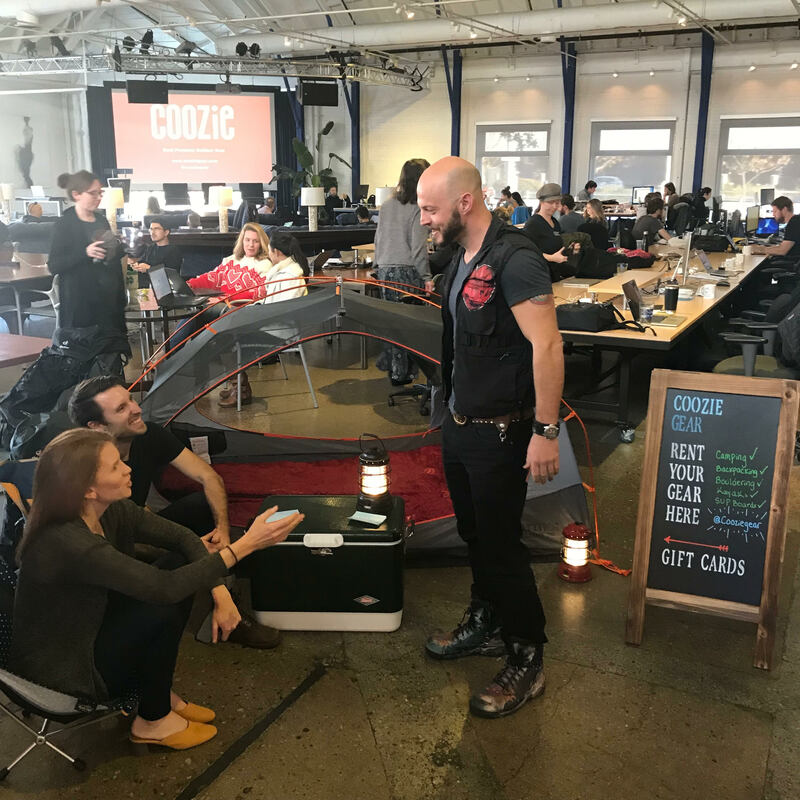 Camping gear rental startup Cooziegear.com pitched a tent during a social hour at Cross Campus Santa Monica. Member Jai Farswani, cofounder of Indian snack food company Ashapops, treated Cross Campus Santa Monica members to a sampling of his company’s offerings during a recent member happy hour. We’re excited to announce that Cross Campus is opening locations in San Diego and Scottsdale, AZ—via the acquisition of coworking space operator DeskHub. Another year, come and gone too soon. Look back at some of the best things to happen at Cross Campus in 2018. This time of year is the perfect time to let your professional contacts know you care. We met with CEO and co-founder Phillip Rosenberg to learn more about how his team brings art to the masses. Because giving back doesn't always mean giving money. The advent of Halloween, Thanksgiving, and the multiple holidays in December can only mean one thing—derailment. We sat down with Director Angie Jean-Marie to learn what her nonprofit is doing to encourage voter participation and make voting more than just a civic duty.